Published: Jan. 30, 2015 at 04:41 p.m. Updated: Jan. 30, 2015 at 07:27 p.m. Ask 30 people about this wildly even Super Bowl matchup, and you will get 30 different opinions. 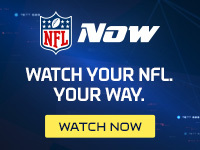 NFL.com readers are picking the Patriots ... at a 51 percent clip. We've already looked at the reasons why the Patriots can win; now let's take a look at the case for the Seattle Seahawks. New England's rush defense is mediocre. While they finished the second half of the regular season well, the Ravens absolutely pushed them around up front in the Divisional Round. Even "Boom" Herron found some lanes in the AFC Championship before the game got away from the Colts. Marshawn Lynch isn't just one of the best running backs in the league. He's in the middle of one of the all-time greatest postseason runs. His ability to carry defenders and inspire his teammates is unmatched. Put any other running back on the Seahawks, and they don't pull off that comeback against Green Bay. The bigger the game, the better Lynch plays. After a week of quiet at the podium, would it surprise anyone if Lynch made a ton of noise in a career-defining performance? The more we watch Bennett, the more he feels like the key to the Seahawks defense. His quickness as a defensive tackle is often stunning, leaving opposing guards flatfooted. He can also line up at his usual position of defensive end. Known as a prankster in front of the media, Bennett's extensive film study shows up on Sundays. He often appears to know the play before it happens and is underrated stopping the run. Offensive lines have had a very difficult time stopping Bennett and Cliff Avril when they are lined up next to each other. Seattle's pass rush was the key to winning last year's Super Bowl, and Bennett is playing at a higher level against an inferior offensive line this time around. He's someone to watch closely Sunday. Like Earl Thomas, Patriots safety Devin McCourty is one of the best "centerfielders" at preventing big plays. But Russell Wilson and his underrated wideouts present a unique challenge. The Patriots, like so many others, figure to put extra defenders in the box to slow down Lynch. That leaves one-on-one matchups on the outside, and those often break down while Wilson is extending plays. The Seahawks offense can lull defenses to sleep before suddenly exploding for back-to-back 35-yard gains like in the NFC Championship. While Wilson is not necessarily the best quarterback yet at anticipating throws, few players throw a sexier deep ball. Bill Belichick prides himself on being ready for anything. But there is no game plan that can fully solve random, improvised plays by a superior athletic quarterback. So much of Seattle's success this season came on plays that aren't repeatable. Russell Wilson will eventually slow down, but for now he's one of the toughest quarterbacks to contain since Randall Cunningham roamed the Earth. This is a historically good defense. Not since the 1969-1971 Minnesota Vikings has the same defense led the league in scoring defense for three straight years. They are so difficult to handle because of their depth. At least seven players are capable of completely taking over a game in a given week: Bennett, Avril, Bruce Irvin, Bobby Wagner, Kam Chancellor, Richard Sherman, and Earl Thomas. That doesn't even mention versatile role players like K.J. Wright, Byron Maxwell, and last year's Super Bowl MVP Malcolm Smith, who have all had moments to shine. It's impossible to know what Seahawks defender will step up in a given week, but there is safety in having so many different chances for greatness. Rob Gronkowski is the key to the Patriots offense, and the Seahawks are uniquely qualified to stop him. They know not to give Gronkowski a free release off the line of scrimmage, and they have two safeties (Kam Chancellor and Earl Thomas) that can take on Gronk in coverage. Chancellor is enjoying an epic playoff run, violently disrupting opposing offenses like an All-Pro. It's rare to see any one player play this aggressively and well this often. The Seahawks should not be in the Super Bowl. They played their worst offensive game possible at home for 55 minutes in the NFC Championship, and still found a way to win. It feels like the Packers had the ultimate chance to serve Seahawks humble pie. Great squads that survive close calls often respond with better outings the next time out. It's easy to forget now, but the Broncos were favored to beat Seattle last year. The Seahawks made an all-time great quarterback look his age four straight quarters. They played their absolute best offensively on the biggest stage against a good-but-not great defense. This is a champion team that has barely changed over the course of the year. Why should this game be any different?